Nairobi Governor Evans Kidero late Tuesday evening interdicted four senior officers over a loss of Sh180 million related to the infamous ‘air supplies’ at City Hall. This is the first time senior officers have been interdicted at the Nairobi County Government over malpractices. Ten others from the Procurement Department, City Engineering, Treasury and Inspection and Acceptance Committee are under investigations in what could turn out to the biggest purge on corruption by Kidero since he was elected. Kidero also revealed 25 companies which he termed as notorious in the game of ‘air supply’ which are under investigations. Their directors are also being probed in what Kidero says will be a titanic battle over corruption. “Am in the process of initiating necessary legislation on governance with special focus on tackling corruption within the County and within three months of the legislation, I will have sealed all revenue leakages and all financial malpractices. “I also intend to set up the County Ombudsman’s Office with a clear mandate to handle all aspects of integrity and more so corruption within the rank and file in the County,” Kidero added. Among the interdicted officers are Vincent Odhiambo Kamenya (Acting Senior Procurement Officer), Dominic Munyao Ndaka (Security Officer) Jeremiah Karani Maritah (Assistant Works Officer-City Engineer) and Anthony Kipsang Kiano from the Procurement Department. 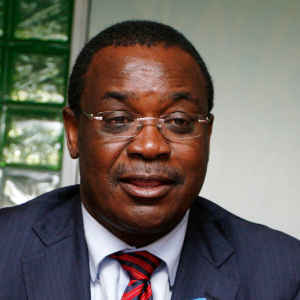 Kidero said the above named suspects have been aiding the rogue suppliers in preparing fictitious payment vouchers for the two years, as per an investigation report in our possession. “Investigations have commenced and we are digging into the past payments of the contractors and suppliers with a view of claiming the fictitious payments from those found culpable,” he said in his office yesterday. Among the suppliers being investigated Mewatech Contractors, Tylo Enterprises, Ama Trading Company Ltd, Kihunya Construction and Civil Engineering Limited and Maury Enterprises Ltd. According to Corporal Urbanus Munguti of the Criminal Investigations Department seconded to the Nairobi County Government, the suspended officers had the delivery receipt books of the suspected contractors and suppliers in their possession which had been partly used. The delivery books were being used mainly by the interdicted officers to generate payment vouchers for the suppliers and contractors over non-existent building materials. The Nanyuki Road Engineering Deport has been a notorious corruption hub, and Kidero seems to have cracked the whip on the closely knit cartel that has been operating there. This is where all building and construction materials supplied to City Hall for maintenance of roads, schools, dispensaries and other construction related materials are delivered. However, investigations have revealed that once the suppliers get Local Purchase Orders (LPO) from the procurement department, they allegedly collude with the officers working at the depot who confirm in their delivery books that the good have been delivered, whereas none has been. The impromptu search was carried out on the interdicted officers by among others Sergent David Minae, Constable Calistus Kimutai and Constable Paul Mbuthia from the Nairobi City County. Previous article OKOITI: Shut up and Forever Hold Your Peace, Mr. Chief Justice Dr. Willy Mutunga! Good start Gorvenor, we need sanity and integrity in Nairobi city. God bless you! OKOITI: Shut up and Forever Hold Your Peace, Mr. Chief Justice Dr. Willy Mutunga!